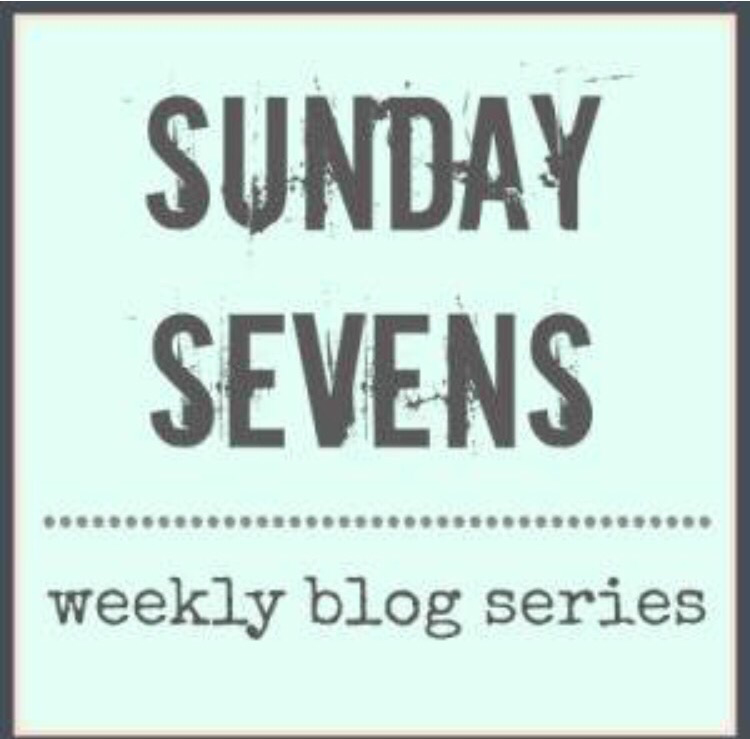 Hello there, you may be forgiven for thinking that this week’s Sunday Sevens is rather reminiscent of last week’s. 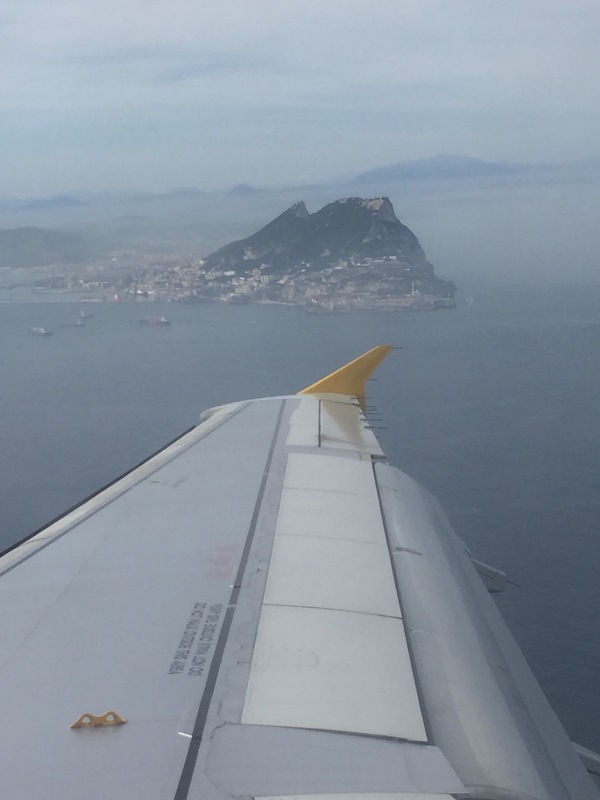 For the second week in a row I climbed aboard a plane and flew out of Gibraltar to visit family in England. I normally go at least 6 months between such trips but happy circumstances meant I was able to make a quick return visit to the North West of England. 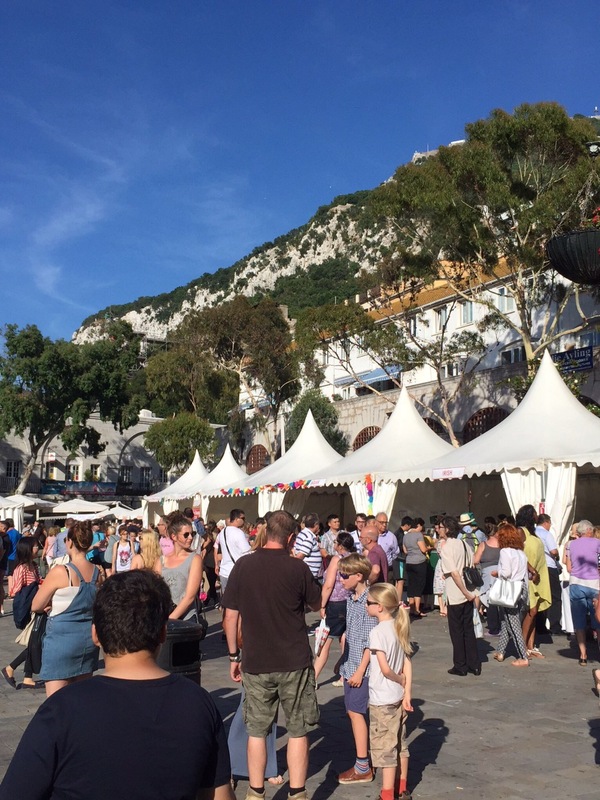 Last Sunday was a bit of a scorcher – summer has definitely arrived here in Gibraltar. We went for our first dip of the season in the pool. My latest Sixty Million Trebles blanket came with me too. 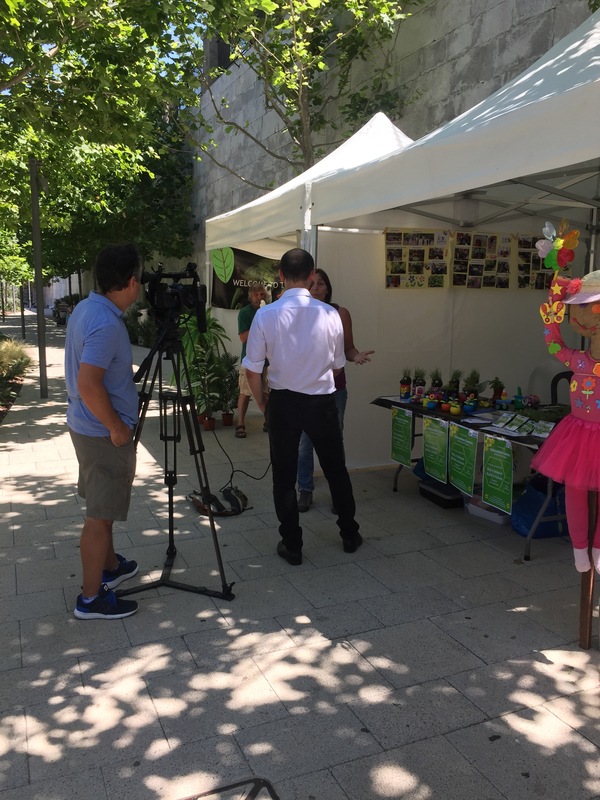 Monday was World Environment Day, and Gibraltar put on a series of stalls in Commonwealth Park to highlight the work being done by the various environmental organisations, governmental and charity. The TV cameras were down there filming while we were passing through. Tuesday evening saw me heading back onto the tarmac to catch a plane to Manchester. 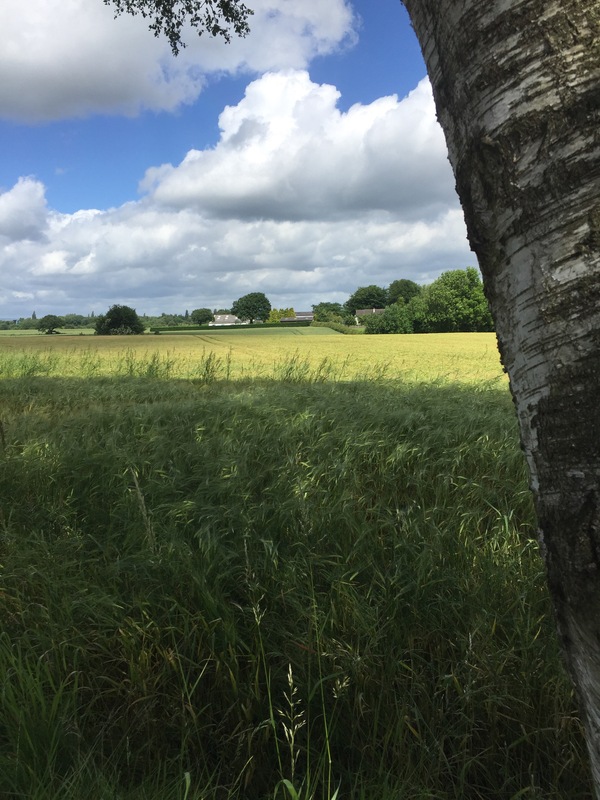 A long awaited solo trip back to see my parents without children…. bliss (although I did miss them a little bit 😉). Wednesday was beautifully sunny and we headed off into Cheshire, which is pretty close to where I was brought up. 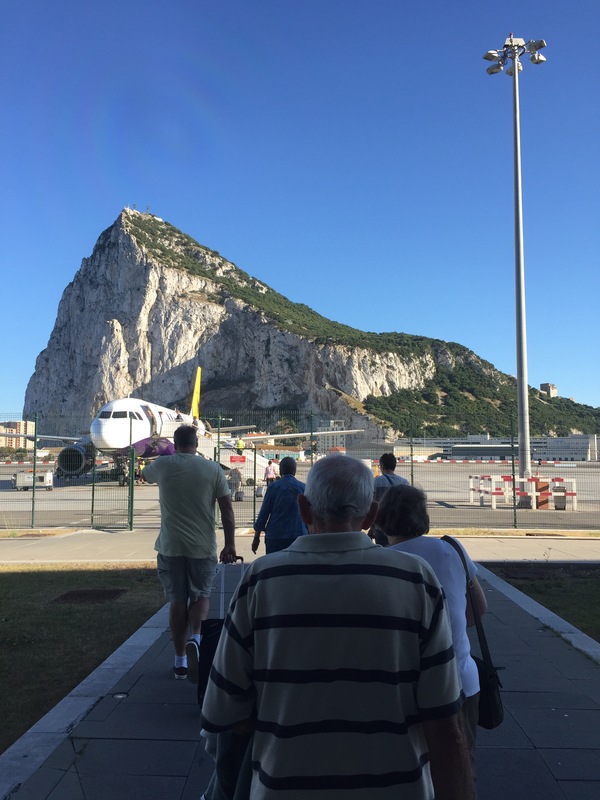 I just love the wide open green spaces – so different to what we are used to seeing each day in Gibraltar. We called into my new favourite wool shop: Black Sheep Wools. 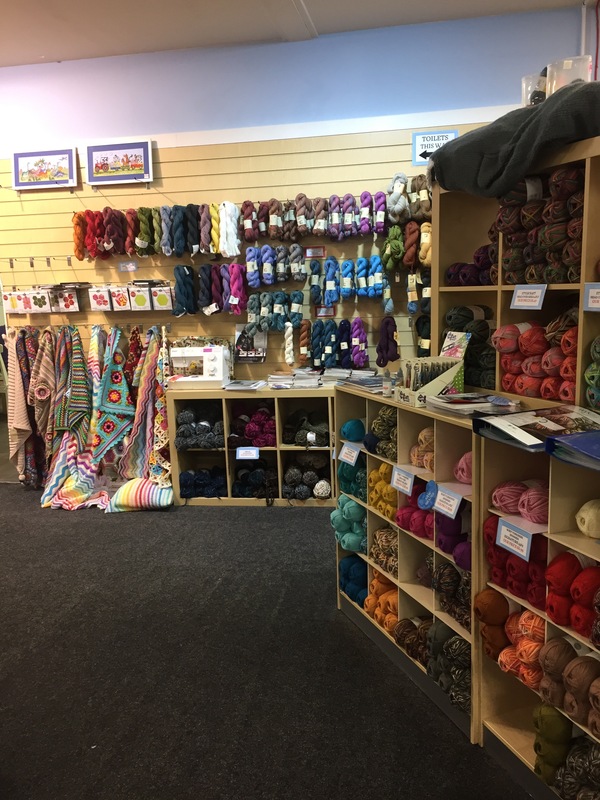 My goodness the yarn, the colours, the inspiration… I could spend all day and a fortune in here! I love it. I added to my stash and even convinced my Mum into dusting off her knitting needles and buying a pattern to make herself something. I don’t think she has knitted since my eldest (now a teenager) was very little, I do hope she enjoys her new project. 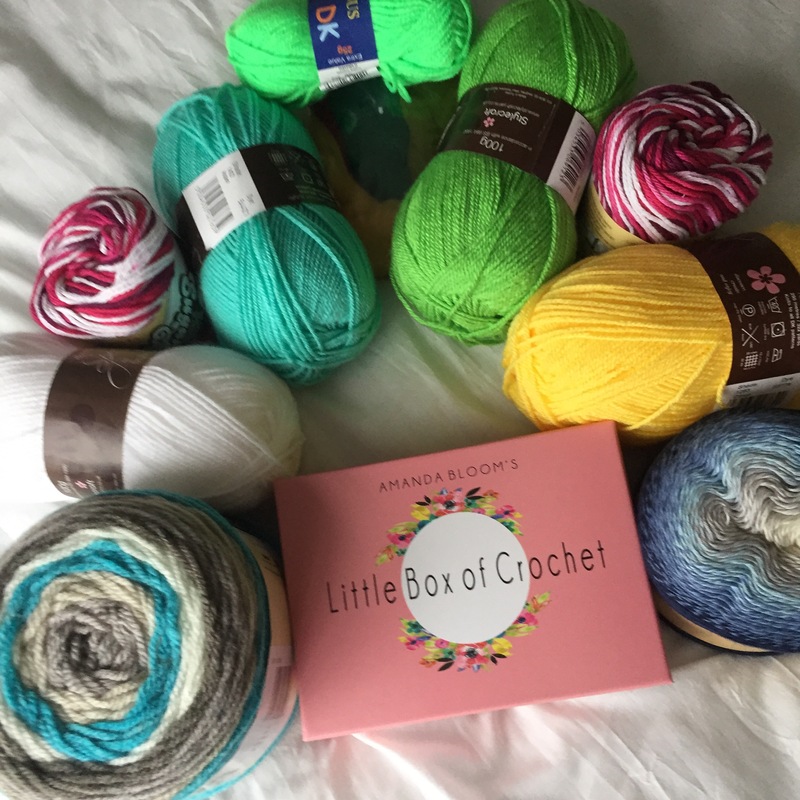 So here’s my stash, which includes a very nice surprise of a belated birthday gift (pink & white Sugar n’ Cream yarn and my first ever Caron Cake) and my missing April edition of Little Box of Crochet which I was able to collect thanks to the lovely Emma at Little Box of Crochet. All too soon it was time for me to board another plane to take me back to Gibraltar and my boys. Bye bye Cheshire countryside! It was only the next day that I discovered I had had a very close call. 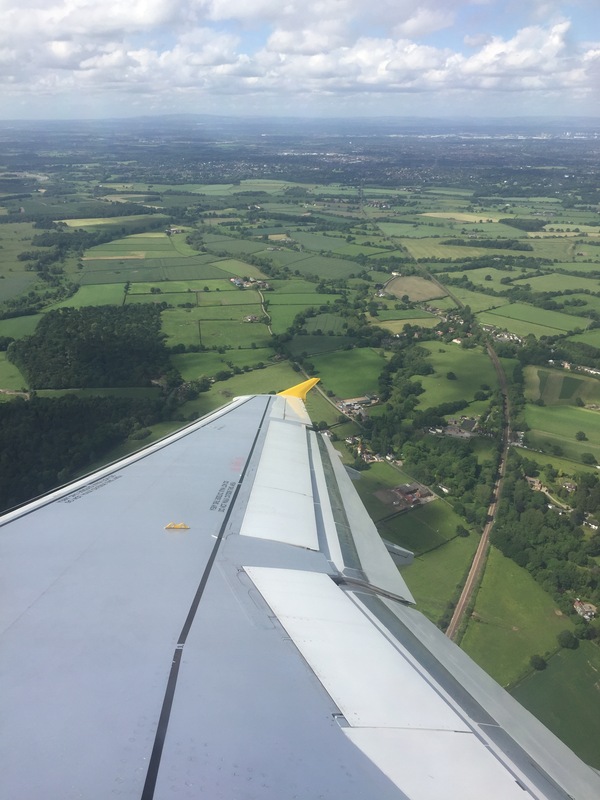 The plane I was travelling on and the next departure to Malaga were the last two allowed to takeoff from Manchester before the airport was evacuated because of a suspect package. It was two hours before planes took off again. As far as I’m aware no one was harmed thankfully, just a lot of waiting around for passengers and staff. 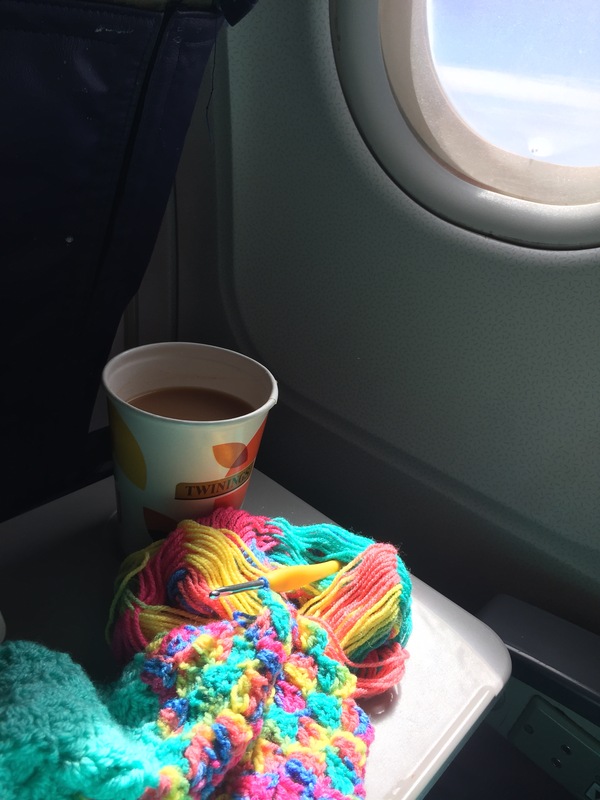 En route to Gibraltar I carried on working on my Sixty Million Trebles blanket, it’s working up really fast. Very quickly I could spy the Rock out of my window! 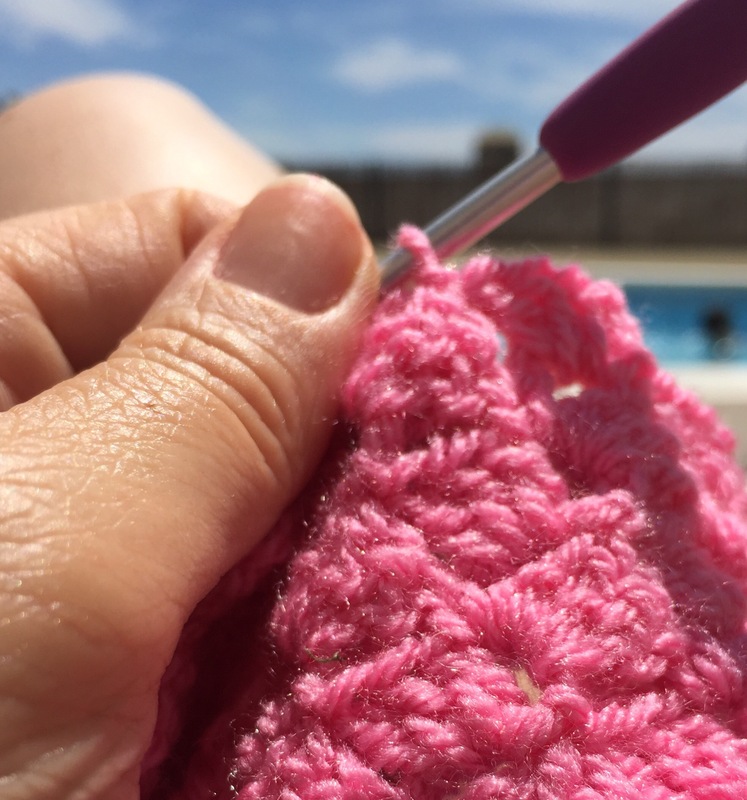 Sunday Sevens is a weekly blog series created by Natalie from the Threads and Bobbins blog. Another lovely week, I love your yran haul and the colour ofyour currnet blanket. Great to share your week.